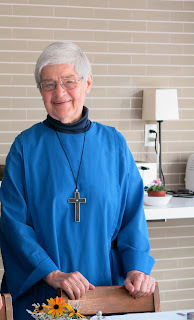 Sr. Amy Joy was born and raised in Hong Kong, coming to Canada in 1973 to further her study and was graduated at the University of Toronto with a BA in Economics in 1977. She received her Canadian citizenship in 1978, but returned to Hong Kong that same year to take over her Father’s business following his death. Her brother who worked together with her died suddenly the following year. These two deaths in such a short time had a severe impact on her, and she crashed emotionally. Religion had not been a major concern in her life to that point; but in 1989, a relative introduced her to Jesus. She was baptized the same year, and found a welcoming Methodist Church nearby. After her conversion, there was a break-through for her. Study used to be a difficult task for her, but in Christ she was able to continue her study and received her MBA from Zhongshan University in China (1993-1996). She was later trained and equipped by the Hong Kong Methodist Church in lay ministry and joined several mission trips with her church. The mission trips to Malaysia in 1998 and Cambodia in 1999 were highlights. Sr. Amy Joy returned to Canada in 2001 to study for and obtain her Master of Divinity from Toronto’s Tyndale University College and Seminary in 2004. Following graduation, she worked as a Pastor with the North Toronto Chinese Baptist Church, specializing in women’s ministry until 2011. She left to pursue a Master of Divinity in Spiritual Formation from Tyndale, completing this degree in 2012. She is currently pursuing her Certified Spiritual Direction credentials from Tyndale. In the meantime, she joined the SSJD Women at a Crossroads program during the summer of 2012, and learned about the importance of balance in life for the first time. In September 2012, she joined the Alongsider program until September 2014 then applied to enter the Community as a Postulant. During this time, she has undertaken a variety of duties - assisting in the Guest House; as part of the St. John’s Rehab team; and, as the Volunteer Coordinator. 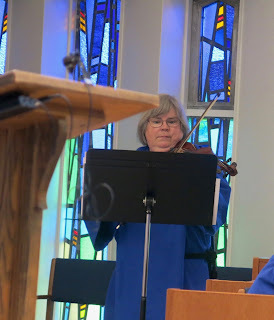 In April 2015, she became a Novice, and is assigned as the Sacristan Assistant. She finds this work in the Chapel challenging due to the discipline and detail required; however, she is also discovering its joy. 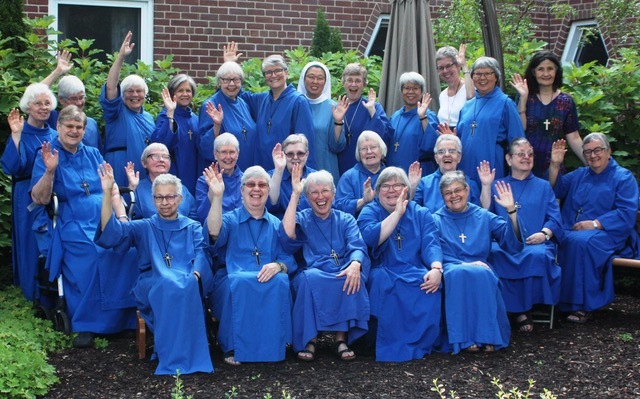 A highlight for Sr. Amy Joy since entering the Sisterhood has been the incredible sense of peace, belonging and acceptance that have come from living and worshiping with community, a new and wonderful experience for her. Sr. Anitra was born in Regina’s Grey Nuns Hospital (now Pasqua Hospital) to Danish parents who had emigrated from Denmark to Canada during the Great Depression. She was christened in the United Church as there was no Lutheran Church in Regina at that time. The family made the big move to Toronto in 1938 and they found a Danish Lutheran Church on Wellesley Street – St. Ansgar Lutheran, but the family later switched to Bloor Street United Church. 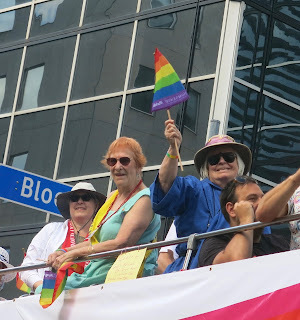 In the early 1960’s, she was confirmed at St. John’s Norway Anglican Church. She attended Toronto’s Central Technical School for Commercial Art courses and later the University of Toronto Fine Arts program. She taught art at Glen Ames and Fairmount Park Senior Public Schools. Her initial contact with SSJD came in 1962, but she had the impression that she needed first to be a nurse – not a personal interest of hers. She was next introduced in 1975 by an Associate, and knew then that she was meant for the religious life and this order. However, the tragic accidental death of her brother and the sudden death of her Father shortly thereafter forced a postponement. 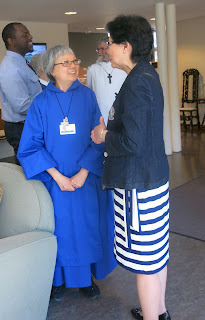 Finally entering the Order on October 25, 1977, Sr. Anitra has worked in the kitchen, the laundry, housekeeping, as a Guest Sister, Librarian, Archives Sister, and Retreats Director. 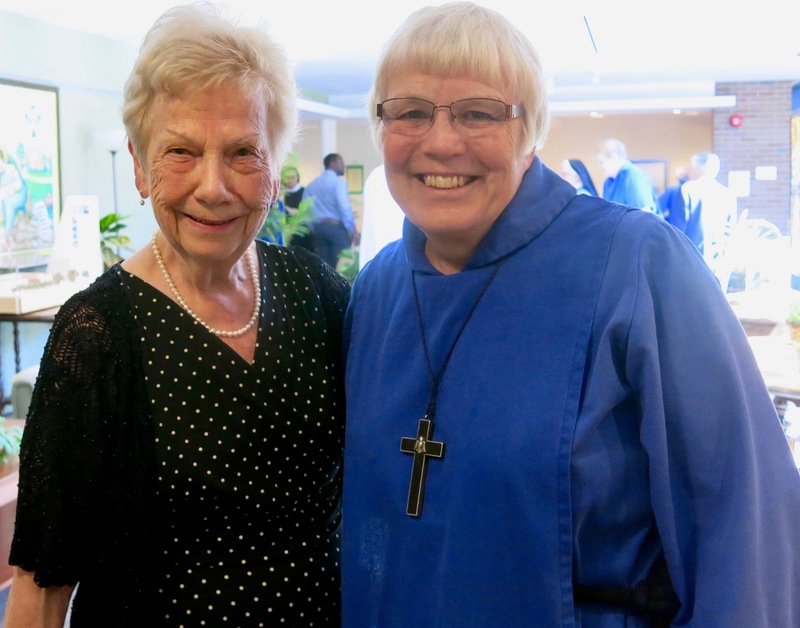 She has been a Spiritual Director and an Assessor on ACPO, and has served at the Branch Houses in Edmonton, Cana Place, Victoria (twice) and Montreal. In the early days in community, she did some painting and small clay sculptures. As time went on, assignments intervened and she has not done anything in this creative area in recent years. Along with her brother, Sr. Constance Joanna was born and raised in Cleveland, Ohio. Her parents shared Swedish roots but met in Chicago at the 1933 World’s Fair. Sr. Constance Joanna got her undergraduate degree in English, and then her MA followed by a PhD in American Literature and Linguistics. Five years teaching in Detroit and a year as a Fulbright Professor in Germany were followed by a tenured position at Virginia Tech. “I grew up in the Methodist Church and, although I was later confirmed in the Episcopal Church, I always loved John Wesley, especially the way he talked in his journal about how his heart was ‘strangely warmed’. I aspired to be that myself but it was many years before I discovered that God was around me all the time. This gave me the courage to accept that God could call me out of teaching into the Sisterhood….